SolWinTree is a Windows GUI tool to view the tree structure of the Desktop window. See Figure 1. 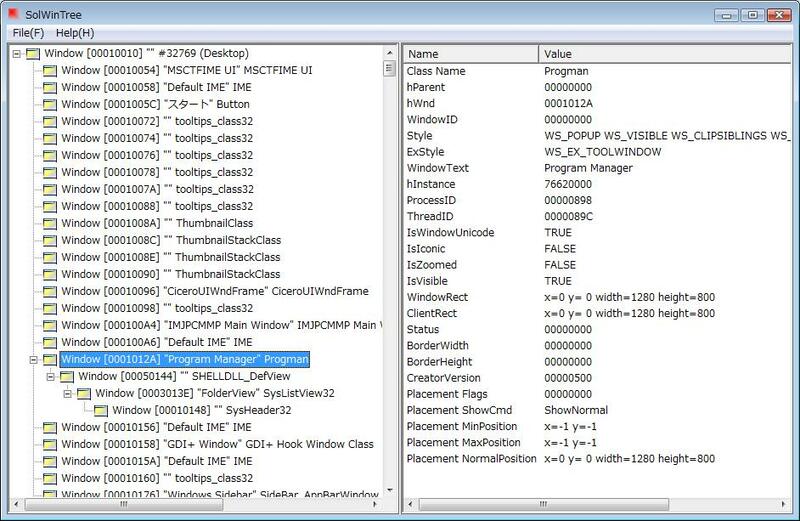 This is a tiny subset tool to view the windows tree of 'Microsoft Spy++' of Visual Studio Tools. Modified to display the attributes of a selected window of the left treeview in the right listview. (11 Aug 2009).